The kids normally have their soccer games on Sunday, which can be a schedule juggle for a number of reasons. Church is one. Having a full day of driving cheering, etc. before diving back into the work scene is another. So you’d think I’d prefer Saturday. Both kids had games in Richmond – about a two hour drive. The games were at the same time. Convenient, huh? Wrong. They were about an hour’s drive apart from one another. If you don’t have kids in soccer, this may require some explaining. Soccer complexes don’t have a convenient place to kill an hour, except in your car. Most don’t have indoor plumbing, much less concessions, etc. Therefore the only logical alternative was to drive two cars halfway across the state in the same direction at the same time. To add insult to injury, to get to the games on time we had to get up about 6:30 – not exactly weekend hours. An I guess that’s what it’s all about. 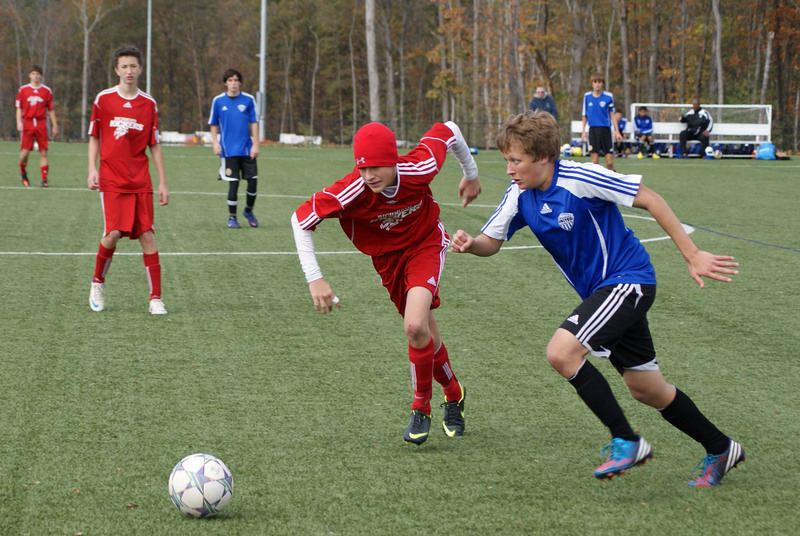 This entry was posted in Culture, Family, Sports, Uncategorized and tagged kids, Richmond, Soccer, Sports, sports complex. Bookmark the permalink.